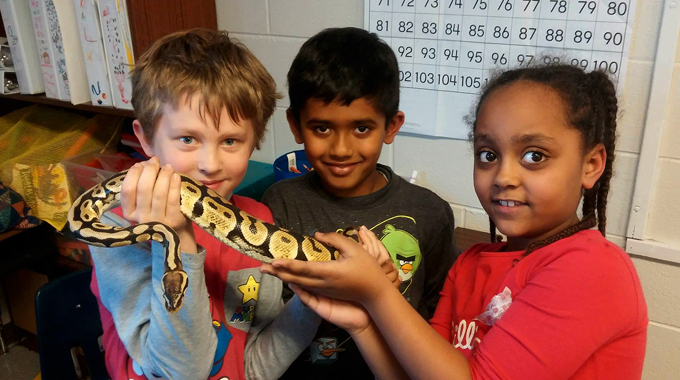 A safe and truly hands-on experience for our critter campers! Day one is devoted to salamanders. 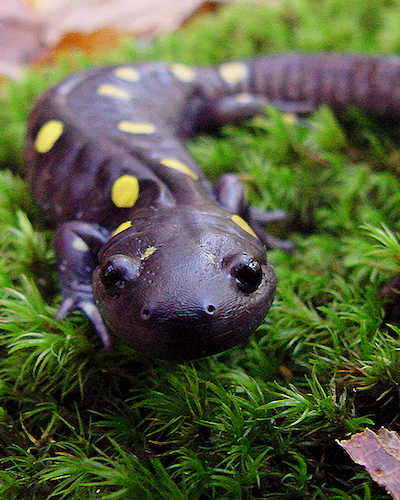 Did you know there are 14 species of salamander in metro Atlanta? 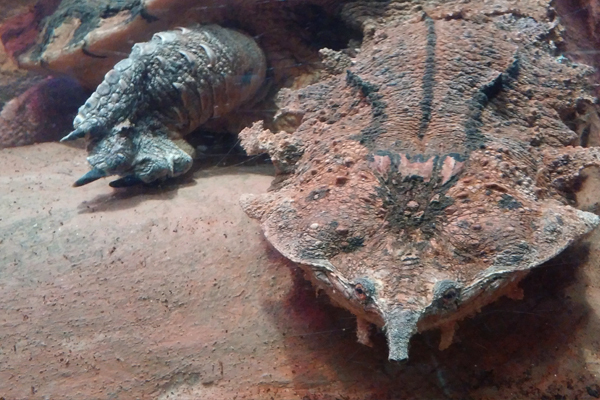 A fascinating group of animals that come in all shapes and sizes from the tiniest geckos to the Komodo dragon! Critter Camp is offered through the summer and school year in Decatur @ The Friends School of Atlanta (Columbia Dr) and in Atlanta @ The Amphibian Foundation on Blue Heron Nature Preserve (Roswell Rd) and now at the West Atlanta Watershed Alliance! 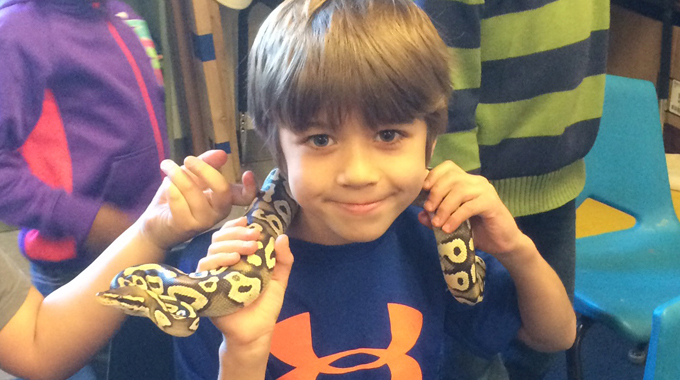 We now provide reptile & amphibian educational experiences in an after-school setting. 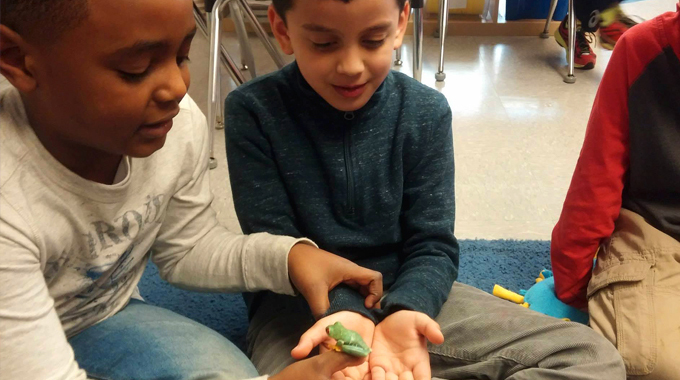 The Amphibian Foundation educational team can come to your school and continue the learning and fun throughout the school year. Please contact us for more details. By popular demand we now offer a casual learning experience just for adults! 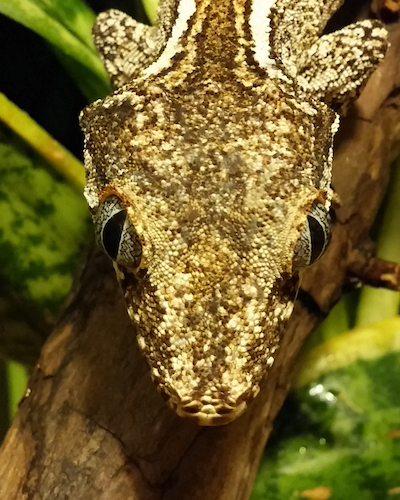 Critters & Cabernet debuted during the Atlanta Science Festival and now meets on the first Friday of every month for a unique learning experience focusing on a different animal group each month. Space is extremely limited. 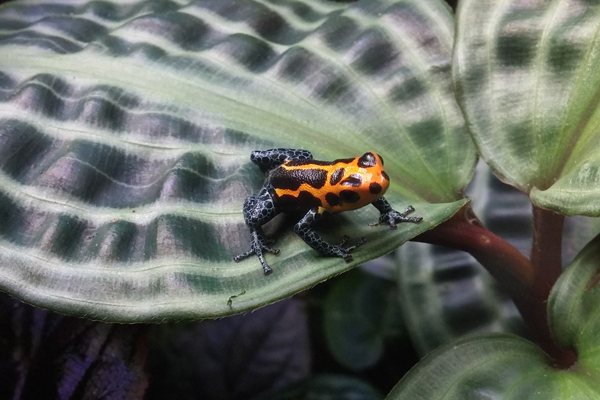 Our goal is to introduce students to the exciting biodiversity of amphibians and reptiles, using these animals to illustrate aspects of biology and ecology. The camps are small (maximum of 12 campers per session) and will be focused on tropical animals, as well as species native to Georgia. 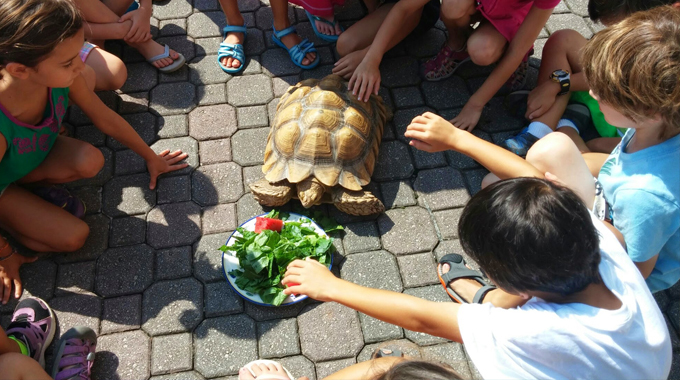 Campers will be encouraged to ask questions about the animals and discover their own answers through hands-on observation. Safe animal handling, including biosecurity will be taught and implemented at the beginning of the camp, and maintained vigilantly throughout. Over one hundred animals from around the world will be available for this camp. 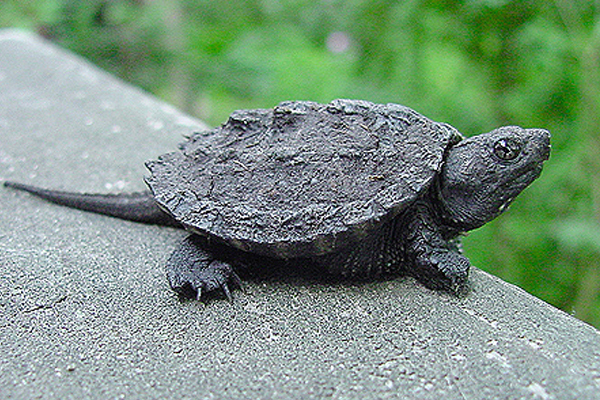 This includes (most of) the major amphibian groups: frogs, toads, salamanders and newts as well as the reptile groups: turtles, tortoises, lizards and snakes. Campers will learn "fun facts" about each group: their life cycles, where and how they live, how they reproduce and their defense strategies. 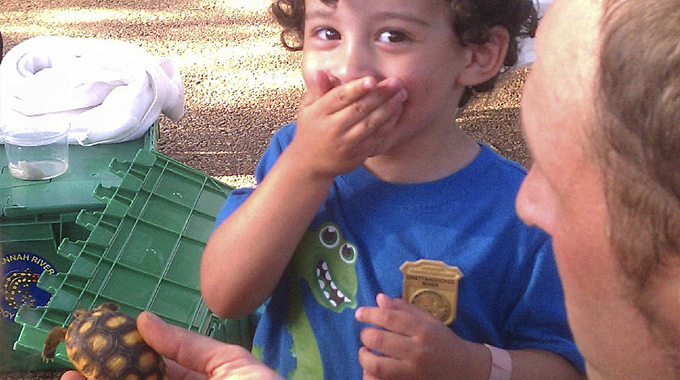 Campers will learn things like what makes a frog a toad, and what makes a turtle a tortoise. Campers will also learn how to identify frog species by their call and tadpole! Main Instructors: Mark and Crystal Mandica, the Founders of The Amphibian Foundation. 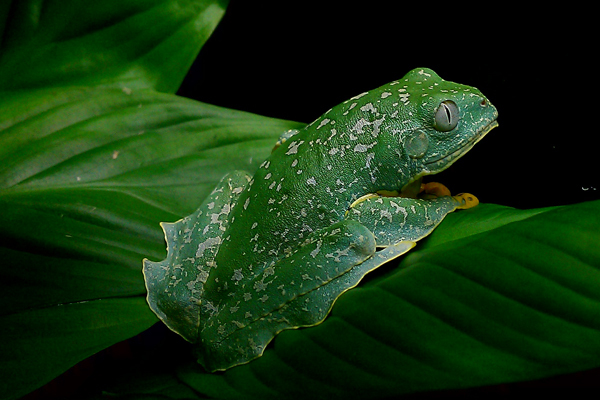 Mark was the director of the former Amphibian Conservation Program at Atlanta Botanical Garden. 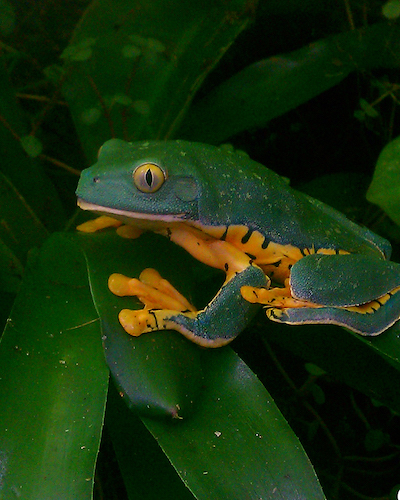 Particular attention will be paid to the biology, diversity, stewardship and conservation of amphibians and reptiles. Campers learn how to handle animals in a way that is safe for children, instructors and animals. 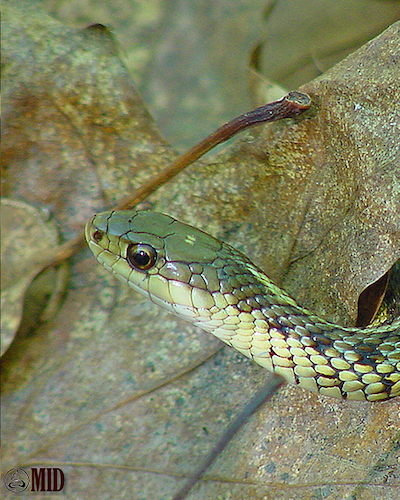 Weather permitting, we will be outside part of the day conducting reptile and amphibian surveys. Bring appropriate outdoor clothes! 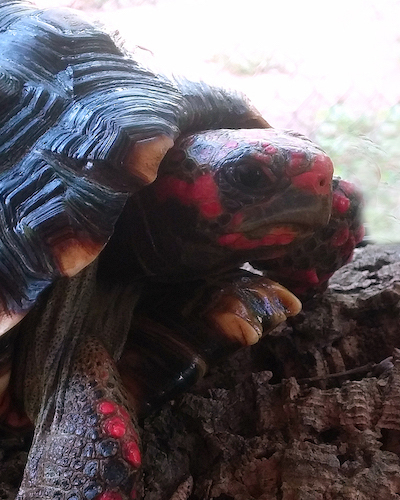 We are pleased to offer three locations for Critter Camp! 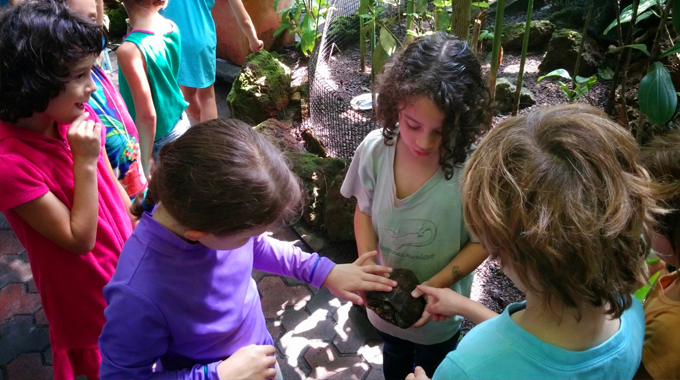 Camp will be held throughout the school year and summer at the Friends School of Atlanta, The Amphibian Foundation, located at the Blue Heron Nature Preserve in Atlanta (Buckhead), and at the West Atlanta Watershed Alliance. What to bring to Critter Camp?